Oatmeal: Nine reasons WHY to cook it. in the microwave, on the stove, in the oven and in a slow cooker. Resolution #1: Eat breakfast. Resolution #2: Eat breakfast every day. Resolution #3: Eat a healthy breakfast every day. Resolution #4: Eat a new healthy breakfast every day. For a good ten years now, I’ve kept a hard lock on three out of four breakfast resolutions. But #4? Not so much. True Confession. I make the same breakfast day in and day out, a bowl of oatmeal porridge cooked in the microwave. My addiction? A swirlful of peanut butter that yields a creamy, rich and entirely satisfying, healthy start to my day. Plus, it’s a cheap breakfast, adds up to just two (or three) Weight Watchers points, and racks up exactly one bowl and one spoon for the dishwasher. All this and good for me, too. But hey! It’s the New Year, the time of fresh starts and brand-new beginnings. So l’ve stirred up my oatmeal morning, with new cooking methods and new add-ins. 2009? It promises to be one very good year. Turns out, the choice of oatmeal as a breakfast staple is a wise one. An apple a day may keep the doctor away but oatmeal, oatmeal – oh my, the miracle that’s in a homely bowl of oat porridge. WHOLE FOOD Oatmeal is 100% plant-based, low in calories, fat and cholesterol but high in fiber and protein. QUICK COOKING Oatmeal cooks in just a few minutes so breakfast is on the table quick-quick. FILL-YOU UP A hot bowl of oatmeal keeps me full and satisfied, right up until lunch. FIBER & REGULARITY Enough said? PRICE My goodness. Buy old-fashioned oats at a price club such as Sam's Club or Costco, where a serving costs just $.033 cents, three and a third cents. Now that's a bargain. FLEXIBILITY For goodness, there’s no beating a glass of milk with a good oatmeal cookie (with raisins, say, or with banana) but what about in meatloaf? and bread? a pie crust? Even homemade dog treats? SHELF STABLE Oats keep, no freezing, no refrigeration required. I keep mine in a tin that sits out on the counter. There’s a quarter-cup measuring cup that stays inside, a small salt shaker too. 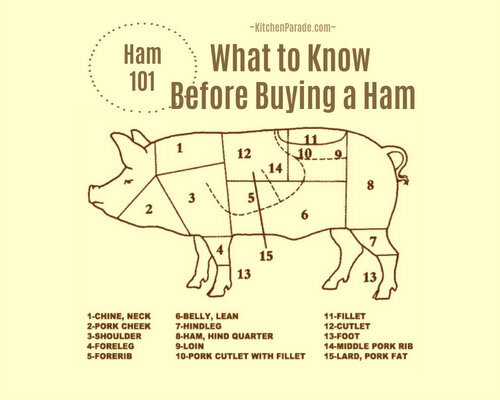 Don't forget that tiny bit of salt, it makes all the difference! FLAVOR Oatmeal tastes nutty and creamy when cooked, but nutty and crisp when combined with butter and spices for a streusel topping, say. HEART-HEALTHY But as if that’s not enough, oatmeal is heart-healthy too. Twenty-five years of research shows that a daily dose of oatmeal reduces cholesterol, specifically the "bad LDL" cholesterol that clogs our arteries and contributes to heart disease, the number one killer of both men and women. There are five forms of oats available in the marketplace. All four are simple whole foods with all the health benefits of oats. OAT GROATS are the least-processed form of oats, straight off the plant. They are the most difficult to find and the most unusual to cook with. I found oat groats at Whole Foods recently but haven't cooked with them yet. 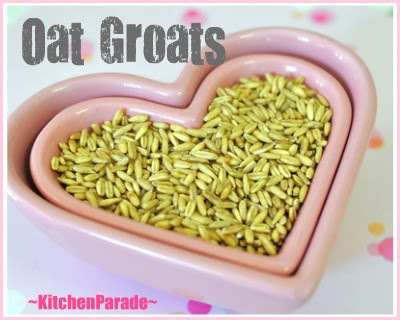 More on oat groats soon! ROLLED OATS / OLD-FASHIONED OATS / "OATMEAL" Even the "processed" form of oatmeal is a "whole food". It is made from just one ingredient, oat groats right off the stem, hulled, kilned (a process that adds heat and moisture), toasted, then rolled, no more. When the groats are toasted and rolled, we call them "rolled oats" or "uncooked oatmeal". If you love the Quaker brand of oatmeal (which I do, and will pay a bit more for), look for big cylinders called "old-fashioned" oats. INSTANT OATS For so-called instant oats, the rolled oats are precooked during processing, a bit more, so that they cook very quickly at home. STEEL-CUT OATS Where old-fashioned oats are "rolled", steel-cut oats are oat groats cut with a steel blade. The source ingredient is the same, only the processing is different. McCanns Irish oats is one brand but Trader Joe's has a private label brand too. Steel-cut oats take the longest to cook. Some people love their slightly chewy texture, others don't. OATMEAL PACKETS The one variation of oatmeal I don't recommend is the small packets of cereal that include dried fruit, sugar and spices. They're expensive and include far too much sugar. If you're going to eat the equivalent of an oatmeal cookie, make homemade oatmeal cookies and enjoy the real thing! OAT BRAN "Oat bran" is the outer husk of the grain of oats. It's valued for its high vitamin, mineral and fiber content. I throw a tablespoon or two into smoothies, stews, etc. for a extra boost of nutrition but it's not a substitute for oatmeal. ARE OLD-FASHIONED OATS BETTER THAN QUICK OR INSTANT OATMEAL? There was a time when I recommended old-fashioned oatmeal over quick-cooking and instant oatmeal. But no longer. You see, it’s an old wives’ tale, nutritionally speaking, that one form of oatmeal is better than the other. It’s a matter of taste, not nutrition. So relax, pick your favorite oatmeal and be happy and healthy. That said, my favorite oatmeal is old-fashioned oats, so all these recipes have been tested with old-fashioned oats, which to my taste are nuttier- and richer-tasting. The other oat versions will taste just fine but the timing may vary so the first time you use the recipes, please take note. OATMEAL for DIABETICS (Please note, I'm not a nutritionist, what follows are my opinion based on my personal observations.) You'd think that oats (largely unprocessed, plant-based and high-fiber) would be a recommended food for diabetics. But in my circle of diabetic friends and family, oatmeal increases blood sugar levels and therefore is avoided. With less surface area, steel-cut oats may be absorbed more slowly and thus may have a lower-glycemic affect. As always, each diabetic needs to understand the impact of their own intake on their own blood sugar. In a microwave-safe bowl, stir together the oats, water and salt. (Don’t worry, precise measuring isn’t required once you’ve made this a time or two. Just eyeball the ingredients.) Cook on high in the microwave for 1 minute, then give it a good stir. Cook on high for 30 seconds, then stir again. Cook for 15 seconds, then stir. Repeat in 15-second increments until the oatmeal is full cooked and water fully absorbed. Stir in the peanut butter and serve. Totally delicious! In a saucepan, stir together the oats, milk, water, salt, begin cooking on medium heat. Add the banana and continue to cook, stirring often, until oatmeal is fully cooked and banana has been absorbed into the oatmeal, about 7 - 10 minutes. (Do pay attention between stirs, the banana’s sweetness encourages burning.) Serve immediately. Can be made ahead and reheated in the microwave for about 30 seconds. Preheat oven to 350F. Stir together all ingredients. Divide among four two-cup ramekins. Bake for 30 – 35 minutes. Serve immediately. Can be made ahead and reheated in the microwave for 1 minute. Combine all ingredients in a slow cooker and cook on low for 6 - 8 hours. If it's a little thin, switch to high to thicken. Can be made ahead and reheated in the microwave for 1 minute. To my taste, oatmeal requires no sweetener, no brown sugar, no honey, no maple syrup. (Just the peanut butter!) But I have learned that a little sprinkle of this easy chocolate-spice mix is quite nice on occasion! One batch of the Chocolate-Cinnamon Sugar fits into an empty 1.7 ounce Penzeys spice jar and makes a quick hostess gift or stocking stuffer. Mix all ingredients and place in a sprinkle jar. Late last year, Quaker Oats challenged 15 bloggers to come up with quick and easy oatmeal recipes. 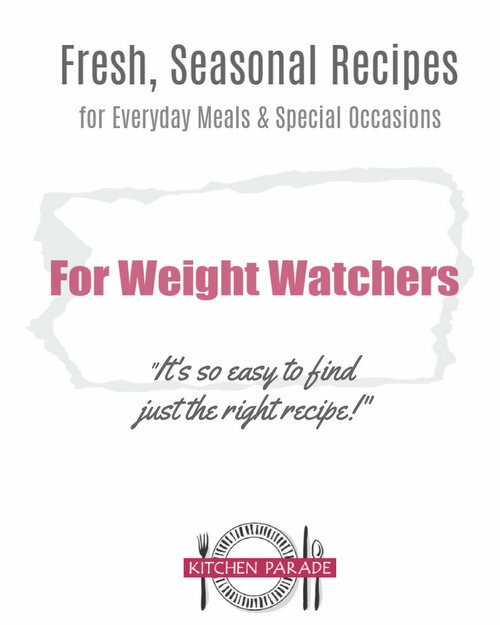 This recipe by the very funny Jennette Fulda of PastaQueen and author of Half-Assed: A Weight-Loss Memoir won the grand prize! Combine oats, instant coffee and Splenda. Stir in the skim milk and water. Microwave the mixture for one minute and 45 seconds. These are oat groats, what your morning oatmeal looks like straight off the plant before being hulled, kilned, toasted and then finally (whew) rolled for the "rolled oats" that we eat for our breakfast. Morning Oatmeal: Every Day, Yes?! I have a question about the ramekins. The only time I have used them was to make custard which requires putting the dishes in a pan with water. Do I need to do that with the oatmeal? Can I put my ramekins straight in the oven? Should I put them on a cookie sheet? No water is required for the oatmeal and yes, ramekins can go straight into the oven and no cookie sheet is necessary although one might make it a little easier to put several in/out of the oven. I've been mixing equal parts steel cut oats and cooked brown rice, topped with ground cloves & cinnamon (for their antioxidants) and unsweetened shredded coconut and a pinch of Stevia. Seems to be really stabilize my blood sugar until noon. Can't wait to try the peanut butter. The only way I learned to eat oatmeal was cooking it and then pouring milkk and brown sugar on it. None of the pictures look like you are suppose to pour milk on top. For the sake of health are we passing up the milk and possibly Splenda brown sugar? Yes, milk and brown sugar is how I was raised with oatmeal, too. There's no objection to milk on my part, health or otherwise. I find these recipes so creamy all on their own that at least to my taste, no milk or added sugar is necessary. I don't cook my oatmeal. I just take a cup of oats, medium ground, normally Mornflake organic, and add a cup plus of apple juice and leave overnight. (or if I forget for a half an hour in the morning) and then add some of the following, fresh fruit, dried fruit, sunflower seeds, pumpkin seeds, flax oil or seeds, yogurt and if required a little more juice. Then enjoy. Ah yes, Lesley, that's what we call Swiss Muesli and it's a favorite of mine, too. My sister's kids call a version with carrots Carrot Slump! Oh my - I cannot believe how good oatmeal and peanut butter is!!!!!!!!!!!!!!!!!! I will sheepishly have some for breakfast tomorrow, I swear! It takes 12 minutes plus a rest so it's too slow for breakfast so I cook 6 servings ahead and refrigerate, then microwave. Good with milk and nuts (no sweetener needed, my opinion) but even better with a half tablespoon of butter, a chopped scallion and the nuts...with a soft-boiled egg over the top...This is BREAKFAST! I thought I would add my new found love for oatmeal recipe. Add about 1/2 to 3/4c of frozen berries to your microwaveable bowl. Then add the oats & water (don't stir). Microwave 5-6 minutes (depends on your micro). No need to stir. Allow it to stand a minute or so. When you dig in, the berries become a compote underneath the oatmeal and it's delicious! Although old fashioned oats are no "healthier" than quick oats, old fashioned oats will keep you fuller longer and will cause a smaller spike in your blood sugar than the quicker cooking ones. So the old fashioned oats are a great choice for diabetics, as long as no sugar is added. The pre-cooking of the oats makes it cook faster, but this also means that your body will break it down faster, too. This is true for any carbohydrate. The more processed it is, the faster you digest it. I am a dietitian, and this is a fundamental concept in food chemistry. Another reason that oats are a good choice for diabetics is that because of the high soluble fibre content, the sugar is released into the bloodstream slowly. As a result, there will be a slow increase in blood sugar rather than a quick spike, that you would see after a sugary cereal. Hi Sara ~ Thanks for chiming in! Yes, that's what I would have said, too and what I think is certainly the conventional wisdom. But in my circle of diabetic friends, oatmeal (even old-fashioned and steelcut) still causes such a spike in glucose that it's avoided nearly always. Of course, oats of any sort are better than sugary cereal. But my friends have NEVER eaten those, their comparisons are to eggs/other protein for breakfast, not so commercial breakfast cereals. I buy the sugar-free oatmeal.. I love the apples and cinnamon, add splenda if ya need it sweetened.. I eat it every morning at work.. Love it! I make oatmeal that has no equal. Rest assured that anyone from age 1 to age 100 will love it. The ingredients are oatmeal,butter,milk,salt, sugar or sweetener. The secret is in my technique. There is no equal. Consider using a rice cooker with a porridge cycle. You use one rice cooker cup of steel-cut oats to three rice cooker cups of water. I like to add dried cherries and cinnamon in the pot. You can add all types of dried fruit. The best thing about using a fuzzy logic rice cooker is that you can have breakfast ready at a set time, which for me, is 5:30 am. The smell and chime from the machine (Zojirushi) wake me up. The texture turns out better than microwaving. Preparation takes about 1 minute and clean up the next day takes about 1-2 minutes. If you wash your rice when you prepare the oatmeal the night before, you can set up your rice cooker to have rice when you get home with less hassle. Perhaps oatmeal is not recommended for diabetics because so many people eat it as a sweet. My oatmeal cooks for an hour (while I read the morning paper) in a double boiler. With a tich of salt. Then I grind a tablespoon of flax seed and add a teaspoon of walnuts. Much better as a savoury than as a sweet. I love oatmeal with a half cup of unsweetened applesauce on top! Just tried your oatmeal with PB - it's quite possibly the best thing I've ever tried! Love it! I would never have thought to put PB in oatmeal - thanks!!! I've thoroughly enjoyed all of your oatmeal recipes now, but keep meaning to ask if you ever found the WW points for the Steel Cut Oats in a crock pot recipe? I was guessing it would be 2-3 points per cup??? I have def. got an issue with weight ,but the one thing I have right is the oatmeal. Am so devoted, I have been making (and canning) the most wicked-tasty thing ever, slow-cooker apple sauce that is halfway to apple butter to put in my oatmeal. It's my candy-loving three year olds fave comfort food. I do oatmeal with a banana in the microwave, and to add a little sweet-sour, I top with a few craisins or a mix of craisins and thos dried blueberries from trader joes. I have oatmeal every morning until it's too hot to bear a hot breakfast - then I get oatmeal cereal from the local co-op. I always use old-fashioned - I like the texture a lot better and I want less processed food in my diet. I set the water on to boil and add sliced dried figs and crystalized ginger to it, then add the oatmeal when it comes to boil. It's really good, lots of fiber, and needs little if any sugar. I make my steel cut oats overnight in the crockpot, too. I found a great tip online to eliminate the oats sticking to the sides of the crock ... find a bowl that fits inside your crockpot and add water around the bowl without overflowing the crockpot. Then, remove the bowl and place all of your ingredients in the bowl. Place the bowl back into the water-filled crock, cover and cook on low overnight. This faux double-boiler method makes this recipe a snap to clean up! I am so trying the Oatmeal with Peanut Butter! Tomorrow! Heck - maybe even before bed...except I only have 1 pt left for today! Oh well! Thanks for sharing! Made the Oven Oatmeal with Apples this morning. I liked it - I think the cider gives it an apple-pie like taste. I also liked the microwaved oatmeal with peanut butter - and it's good with Nutella too! I actually mix-up all the stuff the night before in a microwave-safe bowl with a lid, then nuke and eat the next morning. I prepare that banana oatmeal at night now so I'm good to go in the morning. Why do you say 'don't skip the salt!'? Anonymous ~ I say 'don't skip the salt' because without it, the oatmeal tastes really blah. Yes, all the experts say 'eat less salt' but they are talking to people who eat prepared foods, fast food, etc. Those of us who eat 'whole food' can use all the salt we like and it will never come close to adding up to what is found in commercial food. I like oatmeal cooked without salt. So, if you like it that way I don't see any reason to add it. You're right, though, if you aren't used to it without you probably won't like it. 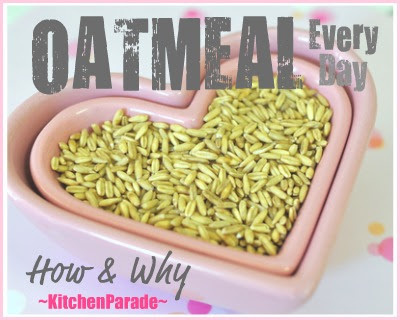 what is the diff between oatmeal & oatbran ? Hi Anonymous, When we say "oatmeal" we typically mean either uncooked rolled oats or cooked oats. "Oat bran" is the outer husk of the grain of oats. It's valued for its high vitamin, mineral and fiber content.